It’s common knowledge that Google knows a lot about you How Much Does Google Really Know About You? How Much Does Google Really Know About You? Google is no champion of user privacy, but you might be surprised just how much they know. Read More . Some see this as a fair exchange for their otherwise free services, but you might still be concerned about their data collection. Everyone with a Google account should take a minute and pay a visit to Google’s Ads Settings page. 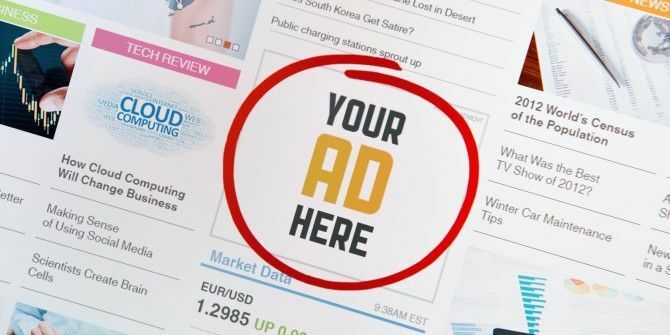 By default, you’ll have interest-based ads enabled, which means Google will show you ads based on your Web history, YouTube videos watched, and other information. By turning the switch to Off at the top of the screen, you can remove your personal info from the equation. You’ll still see ads, but they won’t be related to your interests. After you’ve shut this off, there’s another page to visit: click the Control Signed Out Ads near the bottom of the page. The setting you just changed only affects you when signed into your Google account — Google still wants to show relevant ads if you’re signed out or on other websites, so it’s worth visiting the Anonymous Ads Page, too. Here, there are two switches to turn off: the top for Google ads that show up on site beyond Google, and the bottom for ads inside Google Searches. If you’re concerned for privacy, it’s best to turn all of these off. You’ll still see ads, of course, but they’ll be related to your location or search terms instead of the profile Google keeps on you Concerned About Privacy? How To Keep Google At Arm's Length Concerned About Privacy? How To Keep Google At Arm's Length Concerned about Google's data collection policies in light of all privacy issues? It might not be a bad idea to keep Google away from your Internet activities. But just how can you do that? Read More . If you’re using Android, you can stop giving so much personal info to Google Android Users: How to Stop Giving so Much Personal Information to Google Android Users: How to Stop Giving so Much Personal Information to Google Android users, by default, give Google a lot of information. Here's how to get out of that trap. Read More on your phone, too. Did you turn all these settings off? Do you maybe prefer personalized ads? Have your say down in the comments. Explore more about: Google, Online Advertising, Online Privacy. Google Shares Your Data, But Is It All Bad News?